Line a regular-sized 12-cup muffin tin with cupcake papers. In a small bowl, whisk together the milk beverage and vinegar. Meanwhile, in a food processor, pulse together the sugar and lemon verbena leaves until tiny flecks of green are distributed through the sugar. Transfer the mixture to a medium size bowl, and add the flour, cornstarch, baking powder, baking soda and salt. Make a well in the center and pour in the milk mixture along with the oil and extract. Stir the wet and dry ingredients together with a wooden spoon until virtually no lumps are detectable. Using a scoop, fill the muffin cups only ⅔ full. That's all the batter you will have because filling them fuller can cause sinking. Bake the cupcakes on the center oven rack for 20 to 22 minutes or until a wooden pick inserted in the center of one comes out clean. Cool and then frost with Orange-Almond Buttercream Frosting. In the bowl of an electric mixer, cream together the shortening and vegan butter. Add the powdered sugar, and combine on low speed so that you don't end up covered in white powder. Gradually increase the speed and when the mixture begins to look incorporated--it will be thick, almost like a dough instead of a frosting--add the frozen orange juice concentrate and extracts. Beat until smooth and creamy. If necessary, add more orange juice concentrate or powdered sugar to achieve the perfect texture. Transfer the frosting to a pastry bag, if using, and pipe frosting on top of cooled cupcakes, dividing evenly among them. If necessary, place the bag in the refrigerator for a bit to stiffen the frosting before frosting. Alternatively, swirl the frosting onto the cupcakes using a knife or an offset spatula. Serve cupcakes on individual plates or a platter garnished with lemon verbena sprigs. 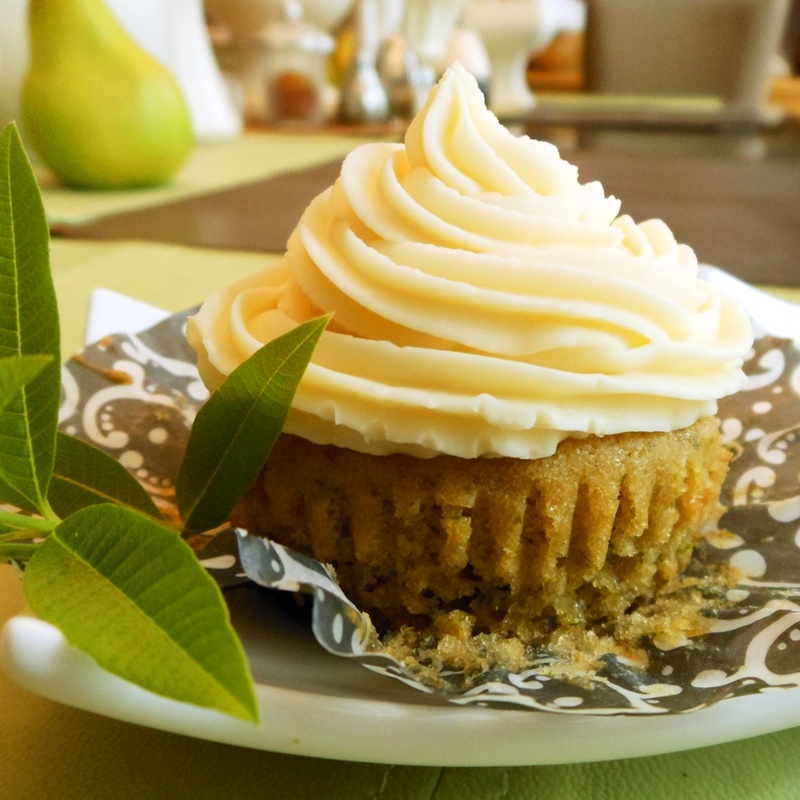 These lemon verbana vegan cupcakes freeze well, orange buttercream frosting and all. Thaw at room temperature or give them a nudge in the microwave at 10 second intervals for up to 30 seconds or so. Go easy so you don't melt the frosting.